Carla Kovach was born in Birmingham, UK and now resides in Redditch, Worcestershire. Author of supernatural drama 'Flame,' psychological thriller 'To Let,' crime thriller 'Whispers Beneath the Pines,' and holiday comedy, 'Meet Me at Marmaris Castle.' 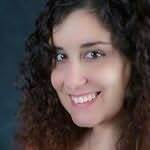 Carla also writes stage and screenplays, some of which have been produced in the Worcestershire area. Her feature film 'Penny for the Guy' is being made and is set for release in 2018.